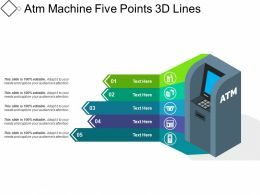 Presenting atm machine five points 3d lines. This is a atm machine five points 3d lines. This is a five stage process. The stages in this process are atm, automated teller machine. Presenting this set of slides with name - Atm Icon Machine Having Side Buttons. This is a three stages process. The stages in this process are Atm Icon, Payment Card Icon, Bank Card Icon. 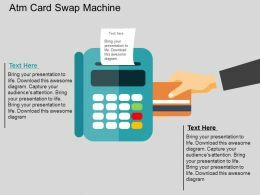 We are proud to present our atm card swap machine flat powerpoint design. 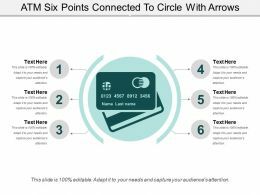 Graphic of ATM card swap machine has been used to design this power point template diagram. 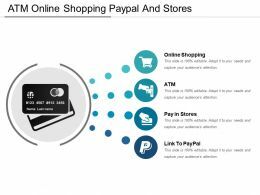 This PPT diagram contains the concept of money transfer. 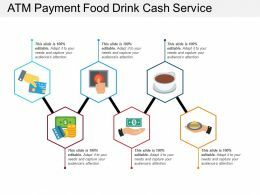 Use this PPT diagram for finance and business related presentations. 3d render of atm machine. Finance concept. Presenting atm icon powerpoint slide. This is a atm icon powerpoint slide. This is a four stage process. The stages in this process are atm, automated teller machine. Presenting atm icon ppt slide. This is a atm icon ppt slide. This is a three stage process. The stages in this process are atm, automated teller machine. 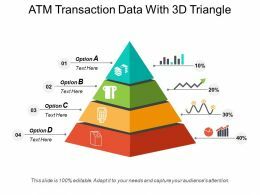 "Microsoft PowerPoint Template and Background with 3d rendered atm machine finance concept"
Presenting atm safe transaction dos and donts. 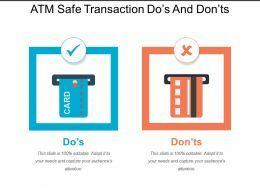 This is a atm safe transaction dos and donts. This is a two stage process. The stages in this process are atm, automated teller machine.